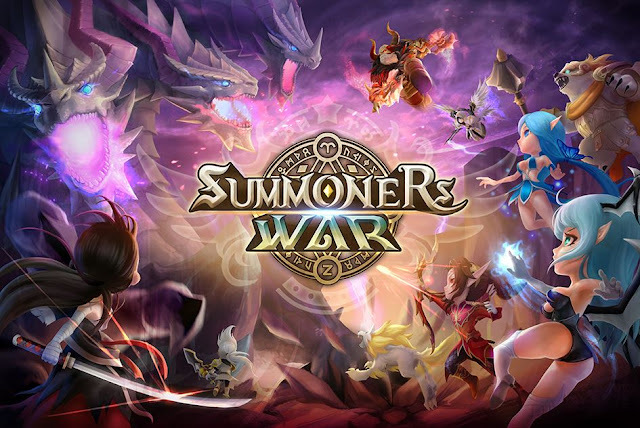 Last year I was working in Coventry and one of my colleagues from Hemel Hempstead came to the depot for a couple of weeks and he was playing the above game: "Summoner's War". At first I wasn't interested and then I saw what it was and thought I'd give it a chance and 7 months later here we are! The game was developed by South Korean game developer, Com2Us. It is a mobile turn-based strategy MMO. You summon monsters, level them up, rune them with magical runes and use them to fight in scenarios and dungeons. On the outside the game seems just like levelling and fighting but its so much more. As I mentioned you start with the scenarios and you can follow the little story woven into the scenarios. Then the dungeons open, their is the tower of ascension, there is raiding, world bosses to fight. You can also join a guild too and play with friends you know in real life (if they play it) or friends online. This game will take up lots of your time but it's fun and something you can have on in the background while you do other things. There is an "auto-battle" mode!